great to found this information. but i think you ‘re wrong !!!! 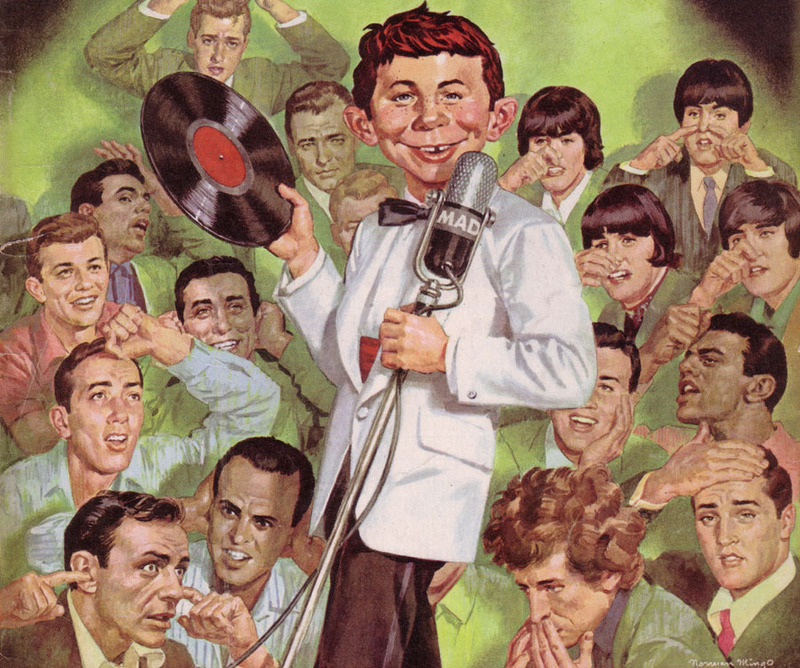 the painting is not from Alfred E. Newman…. he robbed the artwork from his brother Pete F. Newman. 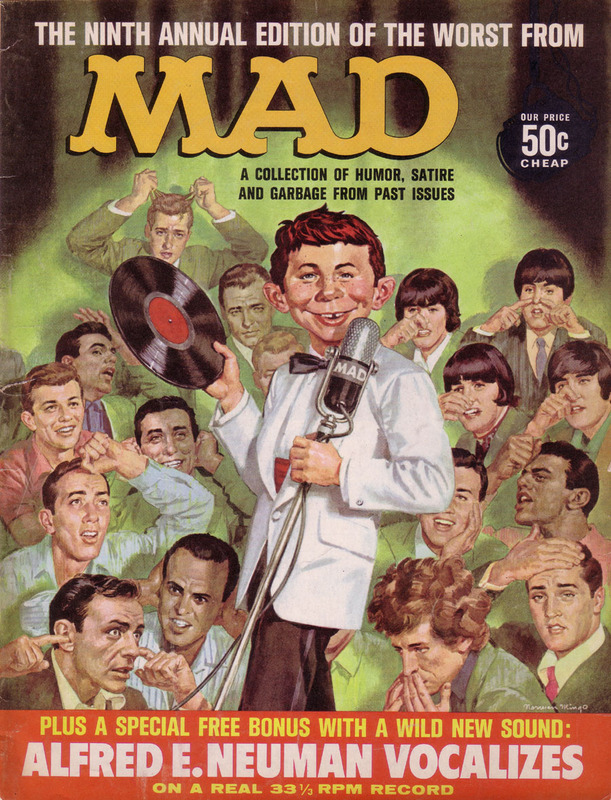 this guy worked for the biggest rival of MAD magazine at that time, called THE DAM , actually they wanted to call it THE DAMNED but the first issue was confiscated because of the rude name. always was a big competion between the two magazines and THE DAM always was better as you know !!!!!!! The plan of Pete did in porpose the bad draw for the MAD magazine, cause was not finnished even !!! and he hated for sure that magazine that was copying the style of DAM magazine. 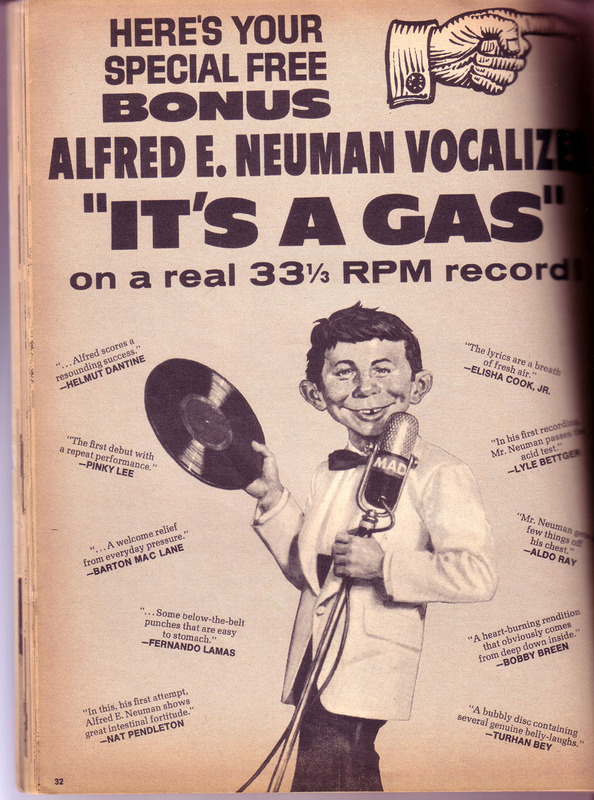 Now if I could only remember the origin of the name ALFRED E. NEWMAN…? The link in box.net says this user is out of bandwith. Is it possible to reup it at divshare? 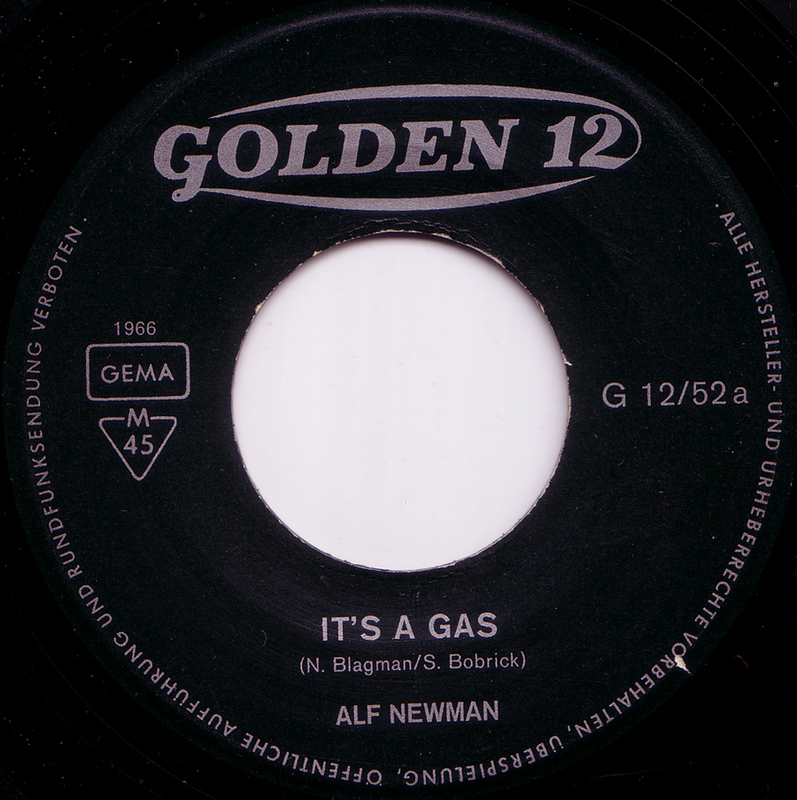 I have a handicapt brother in law and he had the song of Albert Newman many years ago. He turned it untill the needle came trough the vnyl! Can you tell me if I can by one single anywhere on this world. I would do him a big big favor. 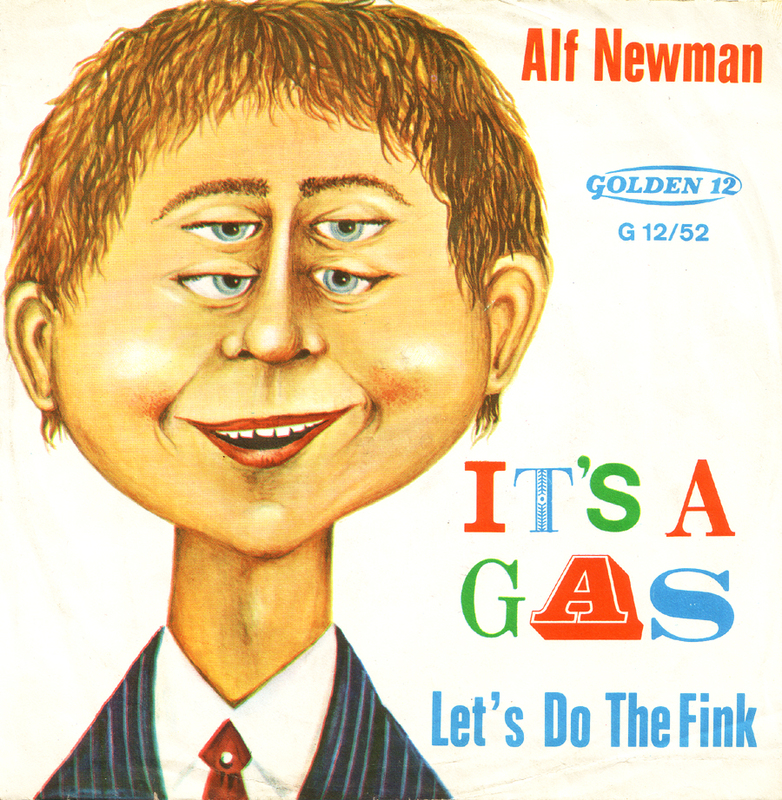 the ALF NEWMAN Let´s Do The Fink/ It´s A Gas 7″ on the German Golden 12 label turns up on eBay from time to time. The last one that was offered sold for two Euros on March 21 here. Just keep looking and you´ll find it.